Copyright (c) 2007 by Rae Kaiser, Outside the Line Design. All rights reserved. "29 hearts to say ""I love you"" through out the year. 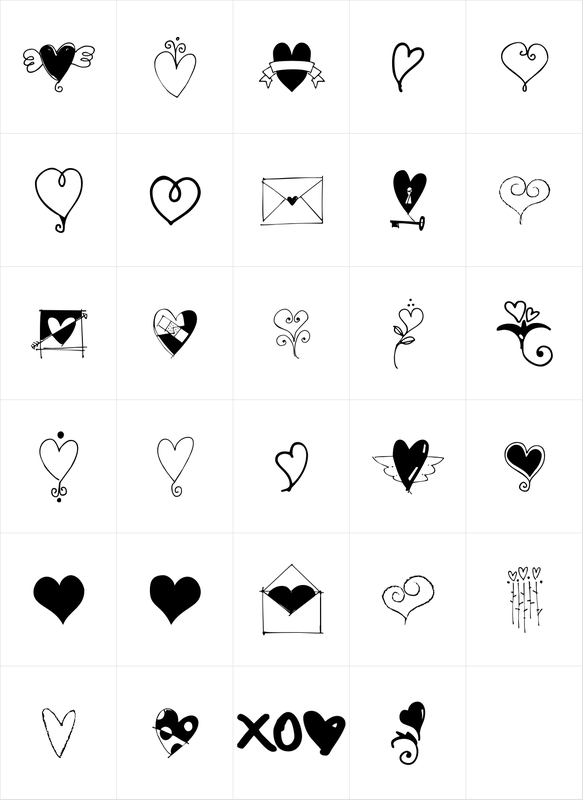 Some are stand-alone hearts and others have matching hearts for creating all-over heart patterns or a series os similar but slightly different hearts."